Rosemary is an aromatic evergreen herb used in cooking and scented cosmetic products. If you are already growing rosemary, you can start several new plants from your mother plant. 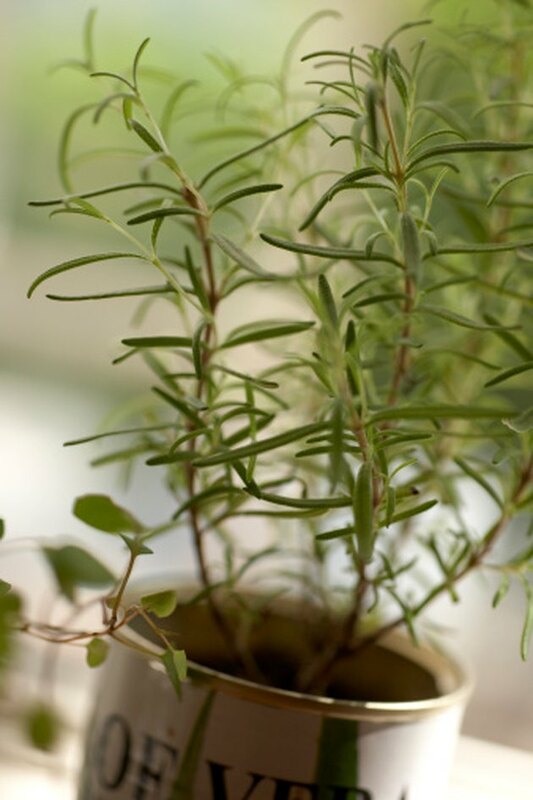 The easiest way to regrow rosemary is by pruning and rooting cuttings. Root cuttings to grow additional rosemary plants. Fill a small planter with soil or a mix of soil and sand or vermiculite. You can also plant several cuttings together in one large planter, rather than rooting single stems in individual planters. Cut a soft stem just below a leaf or pair of leaves with a sharp knife or cutting shears. Choose a cutting no less than 3 inches – but up to 8 inches – from the tip. Strip the leaves from the bottom of the stem so the portion of the stem that will be planted is free of leaves. Dip the end of the stem in hormone rooting powder, if desired. Rooting powder is available in gardening supply stores and fortifies cuttings, but it is not necessary when rooting rosemary. Push the cutting into the soil and water it. Cover the plant with a plastic bag and leave it in a warm, sunny spot for about three weeks. Check roots by gently inverting the planter into your hand to see the underside of the soil.